Journalists covering the court's proceedings have hailed the step and said it would help in real-time reporting. 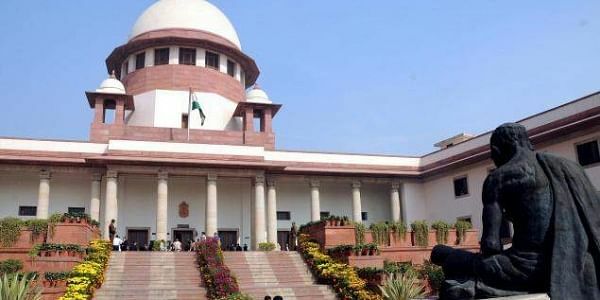 NEW DELHI: In a historic step, the Supreme Court today allowed accredited and non-accredited journalists to carry mobile phones inside courtrooms but asked them to put the gadgets on "silent mode". The permission came with a warning that any disturbance likely to be caused by phone users would invite confiscation. A circular allowing the use of phones was earlier issued and it read, "Hon'ble Chief Justice of India has been pleased to allow the media persons/journalists, who have been issued six months passes by the Registry, to carry mobile phones inside courtrooms on silent mode and that the Deputy Registrar (Public Relations) will endorse suitably on the passes that the person carrying mobile phone be allowed inside the courtroom." The communication, however, said: "It has been directed that a cell-phone creating any disturbance/nuisance inside courtroom will be confiscated by the court master and handed over to the Additional Registrar (Security)." In May, a circular stated that only accredited journalists will be allowed inside the courtrooms with mobile phones. Later, some journalists took up the matter with Chief Justice Dipak Misra after which another notification was issued, which allowed media persons who have been issued six-month passes by the Registry to carry mobile phones inside the courtrooms. An official of the apex court said this was for the first time the apex court has allowed journalists to carry mobile phones inside the courtrooms. He said there was no specific written order prohibiting mobile phones in courts but it was an administrative decision. Lawyers are allowed to carry mobile phones on silent mode, he said. "This is really a good news. Earlier, we had to keep our mobile phones outside the courtrooms. We had to come running outside after each hearing to call our office or tweet any news. But the apex court notification allowing mobiles has made our life easier. This should have been done earlier, but better late than never," a senior legal correspondent said. Since today was the first day, security personnel were unaware of the notification and journalists had to tell them about the order, he said adding that every individual except lawyers is frisked at the entry-gate of the courtrooms. When the pager service made inroads into the mode of electronic communication, another senior journalist with more than three decades of experience in court reporting said, only one or two people used it. He said even at that time, nobody was allowed to take the gadget inside the courtrooms. However, when mobile phones arrived, only advocates were allowed to carry them by the security personnel.